A 1982 Duluth Denfeld graduate — whom Minneapolis Mayor R.T. Rybak intends to nominate as his city’s first female police chief — said she went to high school primarily to socialize and she thought more about becoming the next Pat Benatar than a police officer. But over the past 30 years, Janee Harteau has earned a bachelor’s degree in police science, a master’s degree in public safety administration and worked her way up the ranks of the Minneapolis Police Department to her current position as assistant chief, second in command. Rybak will put Harteau before the Minneapolis City Council for approval as police chief in January after current Chief Tim Dolan retires. Harteau would join Washington, D.C., Police Chief Cathy Lanier and Tampa Bay Police Chief Jane Castor as women leading the largest police departments in the country. Rybak doesn’t expect City Council opposition to Harteau. “She’s very popular with the people she works with, and I’m pretty confident the council is going to approve her,” he said. The mayor calls the 47-year-old Harteau a smart cop, a savvy administrator and a natural leader. Harteau showed some self-deprecating humor in an interview with the News Tribune. She said her favorite class at Denfeld was study hall. Harteau then buckled down. She earned a law enforcement degree at Hibbing Community College, while performing as the lead singer in a rock band called “Magnum.” She sang music by Benatar, Heart and Loverboy to help pay her bills. “I wore the (law enforcement) uniform for school during the day and fishnets at night,” Harteau chuckled. From there she joined the Minneapolis Police Department at 22 years old. Along the way, she earned a bachelor’s degree in police science and a master’s degree in public safety administration from St. Mary’s University’s Twin Cities campus. She is also a graduate of the School of Police Staff and Command at Northwestern University in Evanston, Ill., She’s now an instructor at both schools and travels around the country teaching command leadership to police departments. In 2009, she supervised a public-private police partnership program that received a national policing award from the International Association of Police Chiefs. She’s credited with implementing a Somali liaison officer position in the department and for improving relations with the Somali community. Harteau’s ambition, education, street cop experience and even those social skills developed at Denfeld have put her in position to lead a police department that has a $130 million budget, 843 licensed police officers and 125 civilian employees. Jan Liljegren of Hermantown, a retired Head Start teacher, knew her daughter was capable of accomplishing something special in life. Harteau had three paper routes, baby sat and took whatever other odd jobs she could round up as a teenager. She is the oldest of three daughters that Jan raised alone after a divorce until marrying Earl Liljegren in 1983. Harteau, whose biological father is of French Canadian and American Indian descent and is a member of the Bad River Band of Chippewa, said she has no contact with him. Harteau and Holly Keegel, a sergeant in the Minneapolis Police Department, have been partners for 24 years and have co-authored two books on personal safety. The couple has a 13-year-old daughter. Rybak said he’s known Harteau for 10 years. He got to know her the best when she led the downtown precinct. The mayor said Harteau has been one of the leaders in the department at using technology to look at problems and come up with solutions. “Instead of identifying where crime happened last week, we’ve moved forward to where crime might happen. She’s been a very successful and important part of that effort,” he said. Retiring Chief Dolan called Harteau his right-hand person. The 5-foot-7, 140-pound officer runs, swims and lifts weights to handle the physicality of her job. During her time in the streets she suffered a broken nose while working an undercover narcotics assignment when she said a suspect sucker-punched her. She tore ligaments in a thumb while running after and jumping on an auto thief suspect. She likes to read, but not for fun, she said. She subscribes to the Harvard Business Review and other publications that are either geared toward policing or leadership. She said she has read just about everything author John Maxwell has written about leadership. Harteau provided her view on leadership, which she said she adopted from the book “Good to Great,” by Jim Collins. 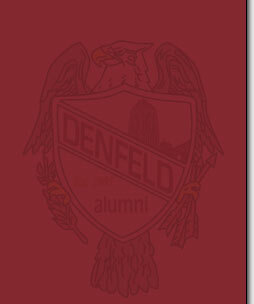 Harteau has never returned to Duluth for a Denfeld class reunion. She said the classmates that she was closest to didn’t stay in Duluth, either. But if the Hunters’ Class of 1982 has a 30-year reunion this year, she wants to come back for it.